Marriott at half price. Beachfront,WiFi,Ocean,Beach,and Pool views,renovated. Nestled near Naples on a southwest Florida Island, this gated South Seas condominium offers everything you will need for an exotic tropical vacation - including an owner on Marco Island who is available 24/7 any time of year. Located directly on the beach, adjacent to pristine, undeveloped, TigerTail Beach, this renovated unit is one of the larger units, with incredible beach, pool, and Gulf water views on one side, as well as picturesque Marco Island on the other. Enjoy lifetime memories from your balcony, and collect shells in the warm waters of a crescent-shaped beach lagoon adjacent to your vacation home. The living room is elegantly decorated with leather furniture. The granite/quartz kitchen has an open view of the dining room, living room, beach and Gulf of Mexico (kitchens in some units at the South Seas are enclosed, with no view). The master bedroom contains a king-size bed, and has gorgeous pool, beach, and Gulf views. The guest bedroom has two twin beds and an elevated queen-size inflatable bed. The guest bedroom does not have access to the balcony, providing more security for children when parents are asleep. Each bedroom has a full bathroom. All rooms have wireless internet access. The South Seas has a heated swimming pool and an exercise room. Tennis is available for an hourly fee. Covered parking is included. Boat dock rentals are available on a per-night basis. The South Seas is adjacent to Tigertail Beach, a picturesque thirty-one acre natural preserve and shorebird nesting area. Tigertail Beach offers a picnic area with grills. There is a concession that rents inner tubes, canoes, kayaks, paddleboats, windsurfers, and electric-powered boats, which can be used to explore a tropical lagoon. Marco Island is a warm, family-oriented community that you will enjoy any time of year. PLEASE NOTE: Our unit is newly renovated and fully operational. Other owners may have work performed on their units during normal business hours, mainly from April to December, but during other months when needed. Condominium Association necessary activity may occur at any time during normal business hours. Please see our guest comments. This owner lives full time on Marco Island. Extendable bar height table which allows views of the ocean while seated. Owner lives on Marco Island and is available 24/7 all year. Free high speed Internet in the unit. We had a great time. The condo is completely updated and had everything we needed. The complex is secure, the pool was extra warm, and there were extra activities like bocce ball and shuffleboard to keep the kids entertained. Bob was responsive and easy to work with. Thanks for a great week! Apartment was very beautiful. New, clean and the complex very secure. Great view of the pool and Gulf. We were very impressed by all the amenities. The owner Bob is very responsive to any questions or issues. Thank you for the great review! We're glad that everything met or exceeded your expectations and hope that you will visit us again! Beautiful condo! Don was fabulous and made sure we were accommodated in every way. We will return!! Loved the condo and The owner is on top of making sure you are comfortable with everything. We will rent again. Tigertail beach is amazing and the shells were wonderful! Walking distance to the beach not good for us. Thank you for the review. Walking distance to the Gulf is about 330 yards across the beach. The distance to the lagoon beach is about 120 yards. These walks may be difficult for older guests and those with small children. Many guests enjoy the rustic setting of Tigertail Beach, which is a pristine tropical bird sanctuary area stretching about two miles north of the condo. Thank you for staying with us! 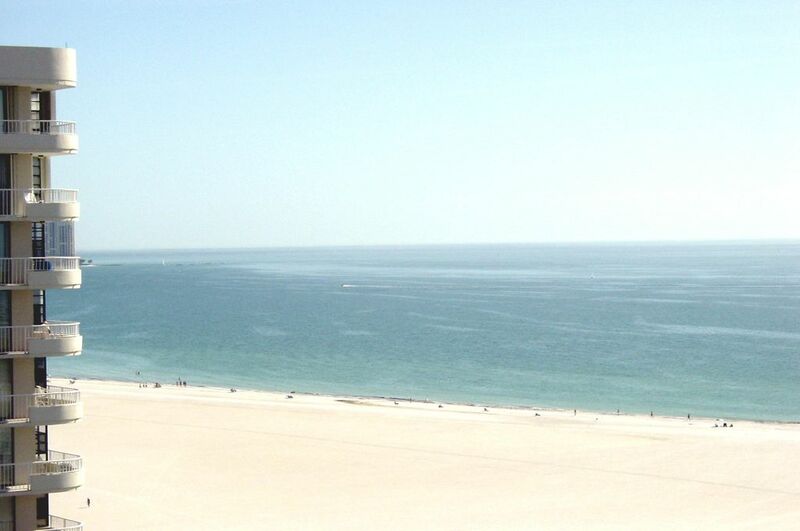 Beautiful, recently renovated condo on lovely beach with clear water! Everything in the condo is new and well kept. The owner, Bob, sent us a packet of local magazines so we could prepare for our trip. He answered all of our questions along the way and was available when we needed him after arrival. The island is beautiful. It’s is close to many other areas of inteest like Naples and the Everglades which we enjoyed. The condo has covered parking. The building is very secure with key or code entry. It also has a great pool. We had a fantastic experience and highly recommended this condo! Thank you for the wonderful review! We're glad that everything met or exceeded your expectations. We live here on Marco Island and look forward to seeing you again! The owner made the experience pleasant from beginning to end. Very thorough and provided a lot of information to not only make the whole trip easy, but entertaining. Marco Island is one of the most beautiful and friendly places we have been to. The unit was extremely clean and well kept. Recently through a remodel, which included great appliances. Each floor of the building had washer and dryers, which made laundry easy. The exercise room was an amazing surprise to me, as this is personally important. Everything you'd ever need, including free weights. I hope to make this a family tradition and started making plans for the same on night one of our visit. If people are concerned about the remodel, there were still some units being redone, mostly in the buildings next to, but they did the work during hours that were not intrusive to our visit and causes no issue. They are rebuilding from Irma and are nearly complete on our stay. I would not let it stop you. Thank you for the great review! We're glad that everything met or exceeded your expectations. We live here on Marco Island and do our best to ensure that you have an enjoyable experience. As mentioned, there is a room with workout machines, located on the ground floor of Tower 3 near the entrance to the building, included at no additional charge. Thank you for staying with us! We look forward to your next visit. Rental rates are in weekly increments from Saturday to Saturday, but the number of days that the condo is actually used are, of course, optional. Rates may vary depending on availability. Contact owner for exact quote. The condominium association office charges a one-time $25 parking fee per automobile upon arrival. Consumable items, such as food and paper products, are not included. Rates subject to change without notice until confirmed. Owner lives on Marco Island, manages the property, and is available 24/7.